The Linux Project started as a hobby for Linus Torvalds, for little did he know at the time – he had started something that would influence the biggest of industries and the smallest of hobbyists in a way that would have been thought impossible. Linux is a kernel – a kernel is what operating system functions upon – a foundation, to build everything on top of. The thing that makes Linux special is its efficiency – it can run on a toaster, or take astronauts to space – Linux acts as an extremely stable foundation that can be relied upon even in the most critical tasks, or even the menial ones. This does, however, mean that you cannot use the Linux kernel by itself – because it is only a foundation, without the fancy house. So, we have the Linux Mint vs Ubuntu 2018 distributions – or distros – that are built on top of the Linux kernel and fulfill the need for an operating system. You have several choices to pick from when it comes to Linux distributions – including the option to build your own if you so desire. Practically anyone can build a distribution – the Chinese and Indian governments have one for themselves, Google’s Android is a Linux distribution as well. Some of the more popular distributions are managed by companies, but some niche ones are managed by strong communities. Distros can also be based on other distros – as we will realize in just a bit – which means communities and companies can on occasion have conflicting views. One of the most popular distros built specifically for new users trying to migrate to Linux is Ubuntu – managed by Canonical, it is largely recommended by the community for its ease of use and its goal of giving Linux a GUI. Removing the requirement of learning the bash command lines that Linux is famous for is not an easy task – and it is a work in progress for the most part, despite a decade of development – but Canonical and the community built around the Ubuntu project are determined to the goal. Ubuntu is also based on the Debian distro – a barebones distribution of Linux that leaves its users stranded in an ocean of commands and does not bother holding the hands of newcomers. Linux Mint is a community-driven distro – there is no company trying to promote or manage it at large, but a community of engineers that decides what goes into building this operating system. These are the types of projects that make Linux unique in its ability to gather a crowd of talented engineers to build something useful just because they can. Linux Mint – surprisingly – is based on the Ubuntu, and Debian distributions. This makes Mint a complicated piece of work – since it is built on top of both the most and least user-friendly distros. Because Mint is based on Ubuntu, new major updates for Mint are released a few months after Ubuntu releases, yet this does not mean you are going to be stuck on old software since Debian releases are also followed at the same time. Linux Mint and Ubuntu both have similar system requirements – as Mint is based on top of Ubuntu, and both are based on Debian, both distros have similar resource usage – however, the differences in the desktop environment can cause a significant performance deficit. Ubuntu uses the Unity desktop environment, known for its fancy graphics and animations – it can use more system resources than some of the other options such as GNOME 3 that is used on Linux Mint. As evident by the minimum specifications – Linux can function on the bare minimum, and the distros keep the requirements similar for the most part. Every operating system needs a certain piece of code called a “driver” that makes it possible for it to talk to the hardware. Since there are hundreds of companies building hardware, it is practically impossible for the operating system to support everything – so the hardware manufacturers also have to develop driver software to accompany the hardware. The trouble arrives when certain hardware manufacturers don’t make the drivers available for Linux – this means no distro will be able to support the hardware unless the community steps up and reverse engineers the driver software for that specific purpose. If you thought that was complicated – it gets worse. Even if there exists a driver for Linux, certain distros might not work with it. Ubuntu being the most popular distro is usually the one that gets guaranteed support from most manufacturers, and most of the times everything will be identical on Linux Mint, yet it is still most of the time – not all of it. Linux Mint and Ubuntu both support UEFI – however, Linux Mint is not certified by Microsoft for Secure Boot. This means you will have to disable Secure Boot in your BIOS before you attempt installing Linux Mint. Ubuntu, on the other hand, is certified by Microsoft, so you can keep Secure Boot enabled. Just an example of the clout Microsoft has over the consumer operating system market. This is the one single topic that riles up anyone who is new to Linux – the requirement of learning the command line. Both Linux Mint and Ubuntu have worked hard on reducing the exposure to the Terminal for the end user – but neither has been completely successful at it. Linux Mint might be based on Ubuntu, but it is still quite a bit different from Ubuntu in quite a lot of ways. One of the most obvious ones is the Desktop – while Ubuntu uses its own Unity shell, Linux Mint decides to stick with the tried and trusted GNOME 3. Both have several pros and cons – but in a nutshell – Unity takes a more “revolutionary” approach by introducing new ideas to the standard desktop paradigm, while GNOME 3 follows the standards that have been set by Windows and other operating systems, and keeps things simple and straightforward. What you then have is this: a higher learning curve for Ubuntu, and a lower one for Linux Mint. Ubuntu and Linux Mint both have their own unique look – themes – that they have built themselves, these can be changed obviously – as it is with everything in any Linux distro – but they are still worth mentioning. 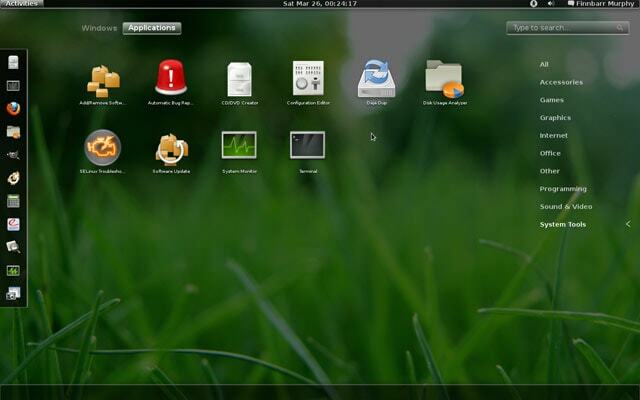 Ubuntu by default comes with the Radiance and Ambiance themes, while Linux Mint comes with a theme called Mint-Y. All of the themes are distinct, and you might not like one while loving the other. 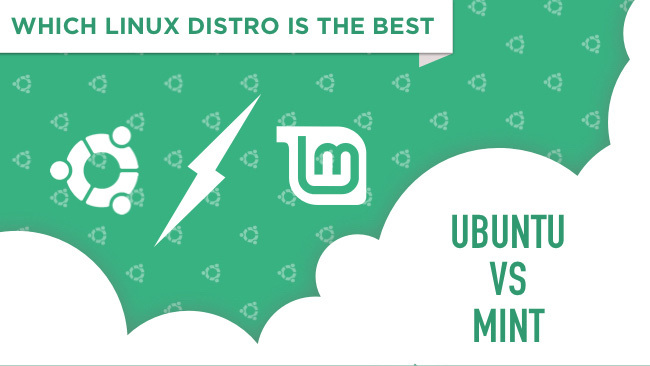 Both of the distros have their own unique designs – and the differences don’t end just there. Under the hood, both are Linux so all of the Linux software will work on both systems, however, both have some unique software packages that lead them to both having exclusive software that only works on the respective distros. 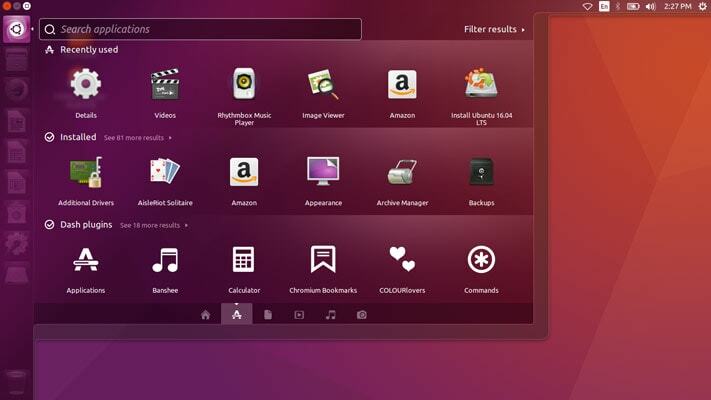 Ubuntu used to have its own app store known as the Ubuntu Software Center – but Canonical has ditched it to focus on better things. Ubuntu now uses the standard GNOME Software store – and any apps that don’t fit Unity’s design language, gets patched by Canonical to fit in with the rest of Ubuntu. Linux Mint, on the other hand, has a software manager as well – but it is not as mature as what Ubuntu has to offer. The Linux Mint team also develops many of their own default apps that go along with the rest of the operating system. So Which One Should You Install? Tough question – it depends on how much you are willing to learn. Ubuntu offers a brand new experience which might prove to be better once you learn it all. It does, however, has a larger learning curve and some people might not fancy that. Linux Mint offers a modern, simple yet familiar experience but lacks the support of industry as it is not backed by a company and is not the first choice for most new users. It does, however, has less of a learning curve. It boils down to this: which one of these is less likely to force you into the Terminal command line? And the answer is quite obvious – Ubuntu has the majority of industry’s support, therefore Linux Mint might require you to use the Terminal more often if something you need to do doesn’t work on the first try. So, if you are tech-savvy and are willing to learn some of the command line, go with Linux Mint. If you are a complete beginner – it gets more complicated – you might like Ubuntu’s ease of use once you get past the learning curve, or you might prefer Linux Mint for its familiar interface. Reading this piece should make you realize, though – the choice of Linux is not limited to these two distros. If you are not satisfied with either of them – go with something that you might be comfortable with. There are hundreds of choices and Canonical themselves make three different versions of Ubuntu, the Ubuntu alternatives with different desktop shells. Linux is all about choice and giving you the flexibility to do what you want – this does mean you will have to learn to tweak and adapt the system to your needs. As before I thought Ubuntu was good as compared to Linux Mint. But after reading the post, all clear now. I can say that Linux Mint is best not Ubuntu. Nice Article. Informative article about Ubuntu and Linux Mint. Please try to post more about Ubuntu, I have a preinstalled Ubuntu, so please help me with it. We will do our best Manas. Ubuntu and Mint are the same basically. The desktop is the only thing that separates them. If it comes to selecting which desktop is useful and easy to use, I’d choose Mint. Have Ubuntu on my desktop and the same version of Ubuntu on an HP laptop (older but pretty good machine). Both the desktop and laptop seem slower than the exact same laptop running Mint (MATE version). 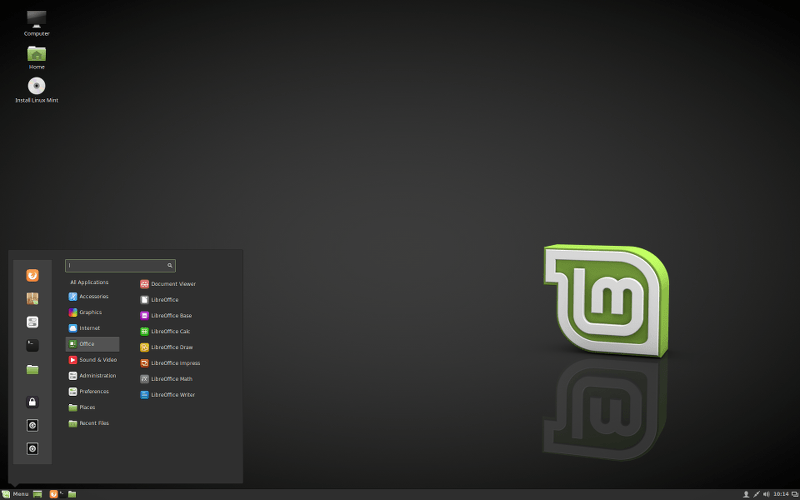 Linux Mint (Mate) seems a lot quicker and snappier, and doesn’t hang up going from webpage to webpage, etc. and the Mint version seems to wake up from sleep mode (even after a couple of days) much better than the current Ubuntu versions. The ole’ lady is running the same laptop as me, but she is running Ubuntu and is having a lot of problems dealing with the slowdown, lock ups just using it sometimes just web browsing. I’m using the same laptop running Mint (Mate) and it runs like a charm. Mint doesn’t use Gnome Shell, it uses Cinnamon. 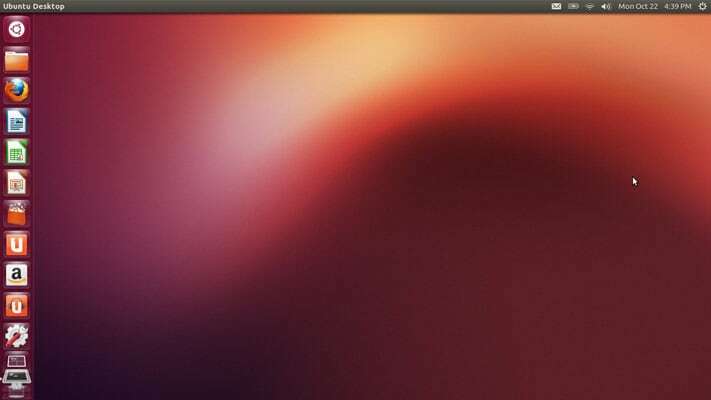 Ubuntu dropped Unity for Gnome Shell in the last version.